You may remember we wrote about The Roadshow Pitching Sessions coming to Blockchain Gamer Connects Helsinki this September. Not only is it your chance to pitch your blockchain game to a panel of investors, but you could also scoop part of the prize pool worth $7,500. Held on day one of the two-day conference and exhibition September 11-12, The Roadshow Pitching Sessions are a live contest played out in front of the audience. Everyone taking part gets just five minutes to wow the investors and answer their questions. 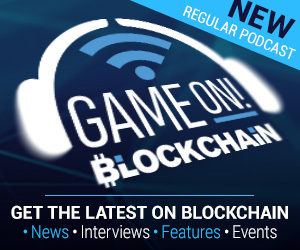 The best ones could walk away from the show with financial backing, as well as promotional prizes across the BlockchainGamer.biz and PocketGamer.biz sites. We’ve had some great submissions already, but we’ve also had a couple of requests for more time to enter. To make sure everyone is on a level playing field and nobody gets an unfair advantage, we’ve extended the closing date for all entries by one week – to midnight, Wednesday 22nd. Enter now! Over 400 delegates will gather at the Scandic Marina Congress Center to hear more than 40 expert speakers cover the key issues for the blockchain games industry, from global trends and new tech to tips, tricks and strategies. 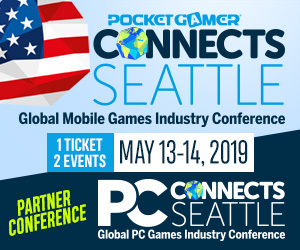 The show will run alongside Pocket Gamer Connects, which returns to Finland for its fifth outing this year as the biggest B2B games industry conference in the country and offers a further 12 packed conference tracks covering mobile gaming, PC, VR, AR and handheld consoles. We’ll also have a bustling expo, a game jam, Big Indie Pitch events for PC and mobile with G-STAR, the $150,000 finale of our blockchain developer contest with Alto.io, workshops, matchmaking sessions, an unlimited free meeting system and, of course, our infamous PechaKucha-style sessions and legendary Global Connects party. Every participant in the investor roadshow gets a pair of tickets to both two-day conferences, just make sure you get your submission to us by Wednesday 22nd. Don’t miss out if you’re not ready to pitch – you can still take your place in the audience. Book your ticket now!